Former Chief Minister Kailash Joshi is unwell and is undergoing treatment at a private hospital in State capital on Sunday. On Sunday, former CM Shivraj Singh Chouhan, former CM Digvijay Singh and former Union Minister Suresh Pachauri went to hospital to see ailing Joshi. 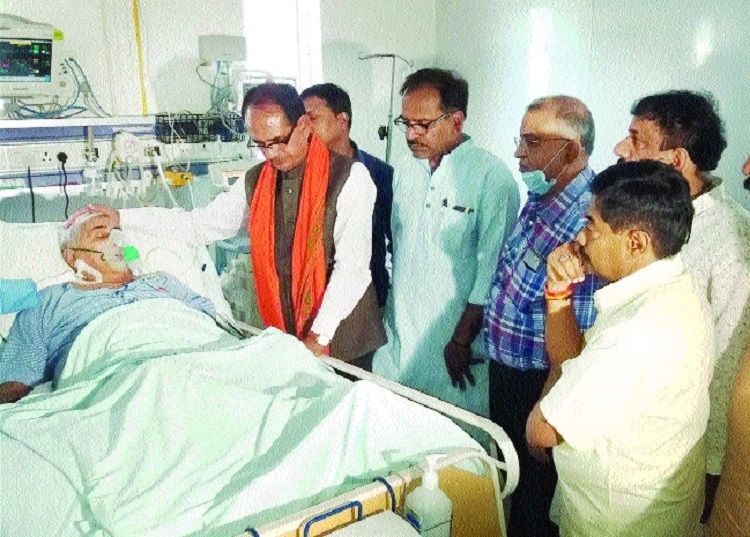 Member of Parliament, Alok Sanjar was also present in hospital when various leaders visited the hospital to know about the health status of Kailash Joshi. They also spoke to attending doctors. MP Alok Sanjar told ‘The Hitavada’ that, Kailash Joshi is unwell for the last seven to eight days and is undergoing treatment in a private hospital. He is visiting hospital routinely and taking care of Joshi. It was some days back that former Chief Minister Babulal Gaur was hospitalised after he reported uneasiness.